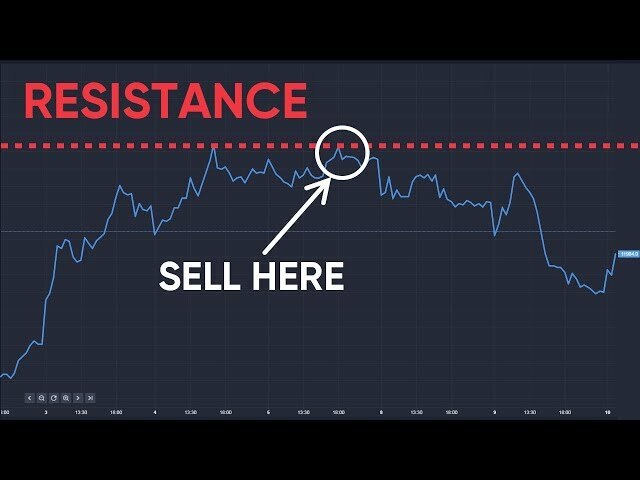 ﻿ Gold trading: how to invest in gold? For traders News and features Features Gold trading: how to invest in gold? Gold has always been a major financial asset for both countries and individuals alike, but beginner traders often ask “should I invest in gold, and why?” Today investors buy gold for a variety of reasons, whether that be as a hedge against inflation, a safe haven in times of uncertainty or as a direct investment. But do you know how to invest in gold? There are numerous different ways to invest in gold, with each offering their respective benefits. Gold bullion is a quantity of refined metallic gold, which can take any shape, that adheres to standard conditions if manufacturing, labelling and record keeping. Gold bullion need not take the traditional rectangular shape that many picture in their heads; it is simply a defined quantity of gold that has some form of stamp or serial number on it. This is the most direct form of gold ownership, as you literally have to store the gold somewhere. While an impressive aesthetic, gold bullion size and weight – especially in higher quantities which hold more value – makes them illiquid in comparison to other means of investing in gold, and consequently harder and more costly to buy and sell. Similarly, a gold bullion of 400 troy ounces, for instance, is not divisible, making the investment relatively illiquid. Clearly, the smaller the gold bullion, the more liquid it is as an investment. One alternative to direct investment in gold is to invest in gold-based exchange-traded funds (ETFs). An ETF is an investment fund that is traded on a stock exchange. ETFs hold assets such as stocks, commodities or bonds. Gold ETFs aim to track the price of the commodity itself. 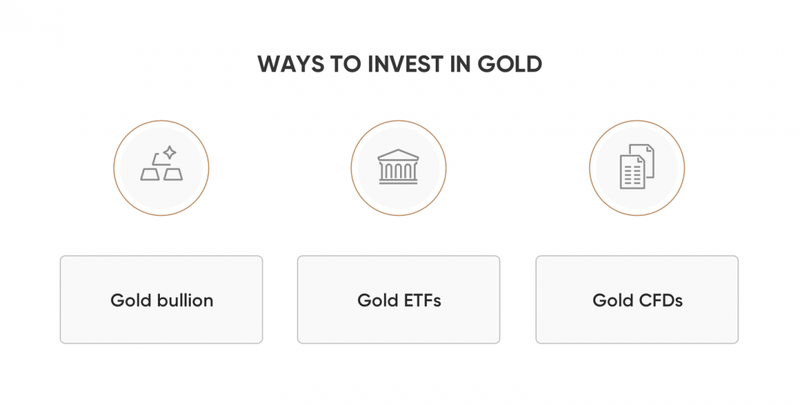 Physical gold ETFs actually hold the metal itself, and are some of the most accessible options to invest on offer. Alternatively, some ETFs use derivatives to track the gold the price of gold. Prices will reflect the gold price in the short term, but can diverge over a longer period, and are a higher risk option. You can even invest in ETFs that track various gold mining stocks, but performance here is can likely change depending on the outlook of the constituent companies in the fund. Gold CFDs: why invest in gold? Another way to trade gold is investing in gold CFDs. A contract for difference (CFD) is a popular type of derivative that allows you to trade on margin, providing you with greater exposure to the gold market. CFDs are a type of derivative so you do not buy the underlying asset itself. Instead, you buy or sell units for a given financial instrument depending on whether you think the underlying price will rise or fall. Trading gold CFDs come with many advantages. Due to CFDs being a leveraged product, they carry the advantage of only needing to deposit a fraction of the whole trade value, providing greater access to the gold market. CFDs are also exempt from any stamp duty because it is a derivative product. Though CFD trading sometimes may sound very attractive, and rather easy to understand, it’s not as simple as that. Please, remember that trading is always risky and requires careful consideration. Gold trading: is gold a good investment?